Looking at cut diamond pictures is the best way to get a feel for what style of diamond design is appealing to you before you go shopping. Searching for the perfect diamond engagement ring can be overwhelming, with each store offering hundreds or thousands of styles. However, if you have an idea of what you are looking for before you go into a jeweler, it can save you both time and confusion. So, sit back, relax and take a look at these cut diamond pictures. A vintage inspired pave band complements the modern round cut shape. A darker band allows the brightness of the cut to stand out. The white gold band that holds this Princess cut exposes the skin beneath the square cut stone. This classic platinum setting features two emerald cut diamonds on either side of the center stone. A beautiful white gold band is all that accompanies this pear cut solitaire. The pear cut is also sometimes called a teardrop shaped diamond. Oval cut diamonds often appear to lengthen the look of fingers and hands. This delicate, but also intricate gold setting would also flatter smaller hands. This Asscher cut is set in gold with a trio of stones on either side framing it. The look is at once vintage and modern. The Marquise shape was commissioned by King Louis XIV and inspired by the smile of the Marquise de Pompadour. Because it is a dramatic cut, it is often set as a solitaire. A heart shaped diamond reflects the romance of the engagement and years of love ahead. 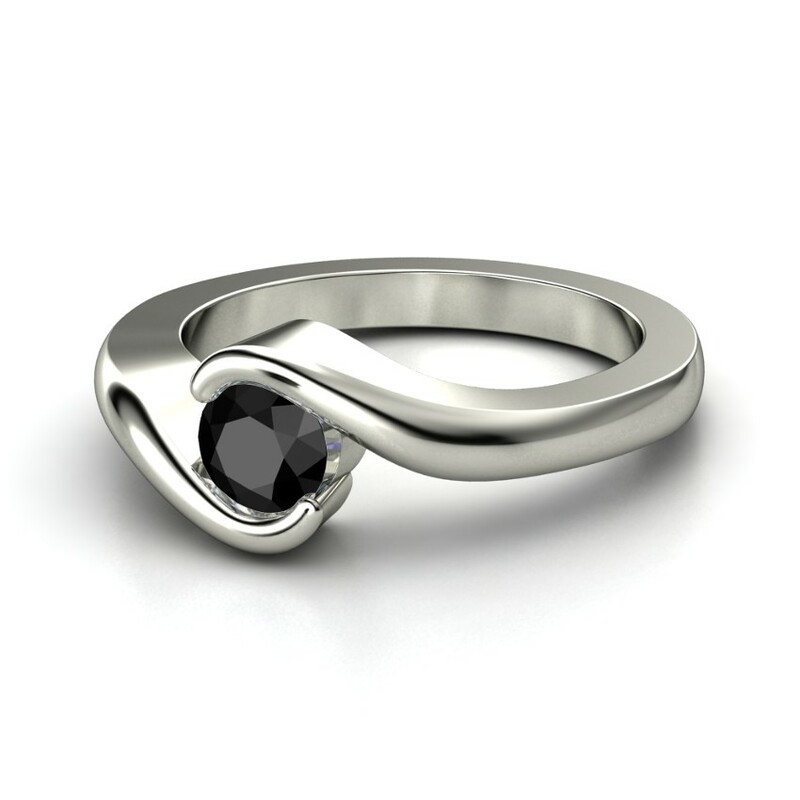 The heart shape can vary between rings, so be sure to pick the shape that makes your heart beat faster. Three matching round cuts with two more smaller diamonds on either side create a very linear ring. These diamonds set in a flower shape on a platinum band create the appearance of a much larger stone. The look is also nicely vintage inspired. The cushion shape was popular in the 19th and 20th centuries. This type of setting with multiple smaller diamonds framing the center stone and along the band has become popular again for its radiant sparkle. This simple heart cut features a bezel setting which emphasizes the heart shape. It is a more traditional heart shape rather than being angular. There is much more to learn about different types of diamond cuts. Educating yourself about cut is an important aspect of learning how to buy a diamond.